This article is a part of an ongoing series about refugees in public spaces. PPS works on placemaking for peacemaking, highlighting the importance of public spaces in building communities for displaced people. While there is no one park or town square that can accommodate 22.5 million people, which is the global refugee population according to recent UN estimates, public spaces can still play a key role in addressing today’s global refugee crisis. In a time where more and more people are being forced out of their homes, many are fighting displacement with place. As a source of stability and social interaction in a new city, public spaces are where healing and connection often happen for refugees and recent immigrants. From open-air libraries to shared gardens, public spaces can be safe and welcoming places for refugees to spend time, but they also serve as centerpoints of cultural exchange and creativity. Through our ongoing collaboration with the International Rescue Committee (IRC) and fellows like Rony Jalkh on "Placemaking for Peacemaking," for many years PPS has been interested in exploring ways that placemaking can be used by and for refugees. In the midst of this growing crisis, several innovative refugee centers stand out for the ways they integrate the values of both inclusion and creative expression. Since crime rates have fallen so low in the Netherlands, many of the country's large prison complexes are no longer in operation. 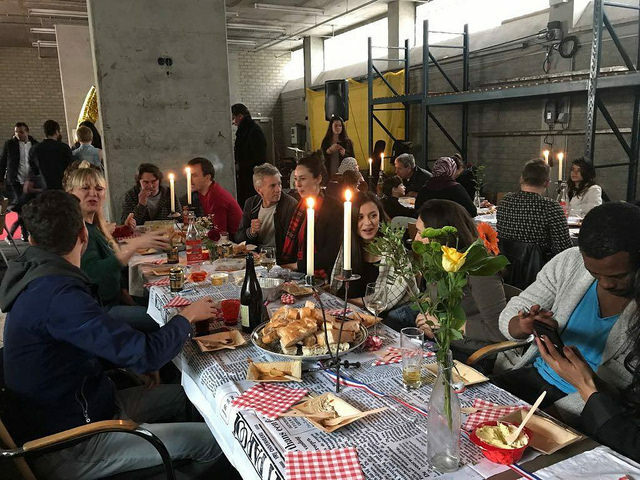 The Bilmerbajes is one of four prisons that closed last year, and while the building will eventually be torn down, in 2016 the City of Amsterdam decided to transform the empty site into a creative cultural hub, now called Lola Lik. Offering 100,000 square feet of space for art studios, start-ups, offices, and language schools, the space has been repurposed for the benefit of the community. Given the high population of refugees from Syria, Eritrea, Iraq, and Afghanistan living in nearby refugee center Wenckebachweg, the space also offers opportunities for these new Amsterdammers to meet, mingle, and gain valuable work experience while learning from each other. In fact, as a prerequisite for renting a spot at the incubator site, potential lessees must demonstrate the contribution they will make to refugees and the surrounding neighborhood. This strategy for cultivating social integration is just one example of what has become known as “the “Amsterdam approach”—a cooperative policy framework that encourages activities that help connect new refuges with the city and its residents. With innovative policies geared towards social inclusion and opportunity for its large and quickly growing refugee population, Amsterdam is leading the way in using a place-led approach to welcome its newest residents. Most official refugee housing is built by international NGOs, and provides a one-size-fits-all living situation aimed at efficiency. While it certainly is important to offer housing to as many refugees as possible, it is also crucial to make these places truly feel like home. With this in mind, giving refugees the chance to take control of their accommodations is an unusual idea—but a uniquely empowering one. It makes a difference to feel a sense of ownership and safety in one’s home, no matter how temporary. So, when Mike Zuckerman came face-to-face with conditions in “typical” refugee encampments, he saw a better way. 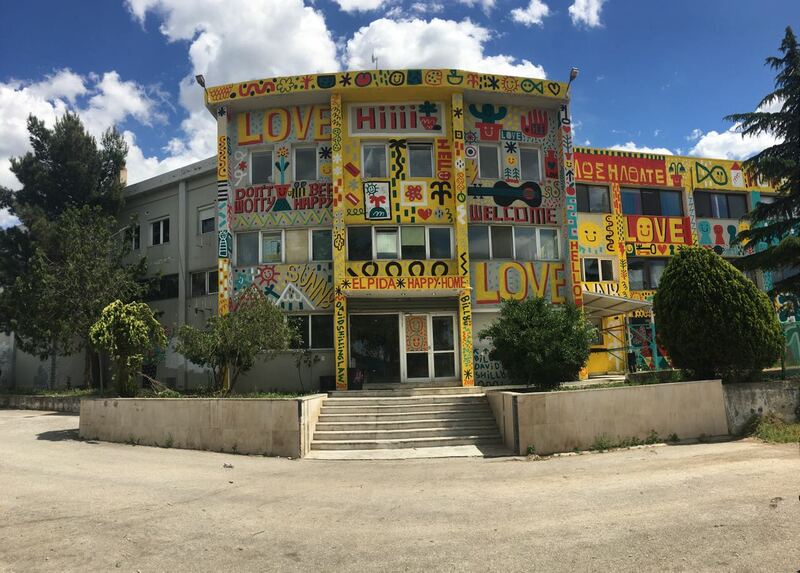 Working on a vision of a refugee- and volunteer-powered space, Mike Zuckerman and the Radcliffe Foundation partnered up with the Greek Ministry of Migration to take over an abandoned factory as new housing for refugees. What they did not know at the time was that the result would be a more equitable model for housing refugees, while also proving less expensive than traditional projects. The result of this collaboration was the Elpída Home, a place imbued with a sense of identity even from the start, during the refugee- and volunteer-driven design process. Besides the building contractors and medical/psychosocial services brought into the space, it was entirely built by the volunteers and the refugees who designed it. By making the Elpída Home a refugee-powered space, Mike and the Radcliffe Foundation built up a sense of place for the new residents. Providing a fresh start in an old building, the Elpída Home is an example of the power of giving refugees a space of their own. People peruse the thousands of books at Tel Aviv's Garden Library. The Neveh Sha’anan neighborhood in Tel Aviv, once a symbol of disinvestment, and sorely lacking in arts and cultural gathering places, is now home to the Garden Library for Refugees and Migrant Workers in Tel Aviv. Founded in 2009 as an arts-based urban community project, The Garden Library uses books to build relationships between diverse communities and to create a sense of place in their shared neighborhood. The library is meant to be a safe place for nearby African refugees and asylum seekers who have faced discrimination in Tel Aviv, and was established based on the belief that culture and education can bridge the gap between refugees and their new neighbors. The library operates through the nonprofit ARTEAM, an aid group called Melisa, and the help of around 100 committed volunteers. Located in the heart of Levinsky Park near Tel Aviv’s central bus station, the open-air library contains around 3,500 books in 16 languages that span numerous genres and interests, along with a large selection of children's books and all-ages programming including community classes on computer repair, languages, small business management, photography, and more. The library is a place of social inclusion and learning, and provides marginalized communities such as refugees, asylum-seekers, and migrant workers the chance to prepare for the job market with new skills, learn more about Israeli culture, or even take part in social justice organizing. Deliberately established in a popular space in Tel Aviv, The Garden Library has become an important support center for underserved communities. The library fosters interaction between people of many different backgrounds, all centered around a common love of books. The Garden Library is an epicenter for community building, contributing to the unique and changing identity of the neighborhood. Shared gardens play a powerful role in helping communities who have experienced displacement, such as new immigrants and refugees. For marginalized groups, gardens can be a way to establish a sense of place, build new social ties, and celebrate and maintain cultural and culinary traditions. 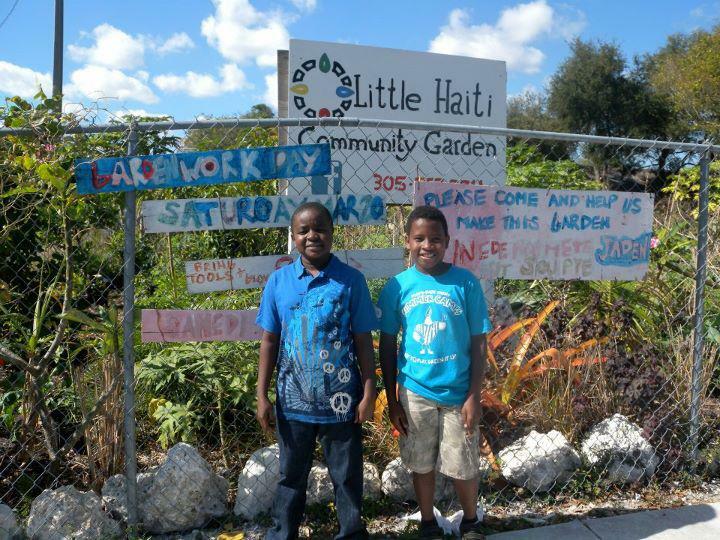 In Miami, Florida, the Little Haiti Garden is where the local Haitian community uses traditional farming techniques in producing often-unavailable crops such as callaloo and calabaza. Located in one of the poorest districts in the country, the garden also eases the financial and food security burdens of gardeners through nutrition workshops, classes to build up retail skills, and the sale of produce to the neighborhood, local markets, and restaurants. The Little Haiti Garden is not the only one of its type. Shared gardens are popping up all over the country, including: the “Growing Home” Garden in South Philly; REAP in Cleveland, Plant it Forward in Houston, New Roots in San Diego and the Refugee Urban Agriculture Initiative in Philadelphia. All of these places are opportunities for cultural exchange; places to both literally and figuratively set down roots. A successful place not only integrates refugees into the ever-changing fabric of the community; it empowers them to take the lead on improving public spaces and services for themselves, and for other new residents. Whether it’s in a garden, an outdoor library, or a community center, public spaces are the testing ground for how a city welcomes and listens to the needs of refugees. A great public space gives a city’s newest residents more than just a place to spend time; it connects them with new neighbors, gives them a way to explore their new home, and provides space and opportunity for holding on to cultural traditions while building new community bonds.